We are fortunate in Rim Country to live in a very pro-life community. Every week, we see new and returning clients. There are no words to express the deep gratitude we feel toward our clients for allowing us to be a part of their lives. Every week, Jesus Christ also sends us volunteers: lay counselors, receptionists, and workers behind the scenes. They are all filled with love in their hearts for the unborn. We thank everyone who donates hand-made blankets, caps, booties, diapers, and other baby items, maternity clothing, gift cards, and money. Whether it’s a boomerang bottle filled with loose change, or a check in our mailbox, we appreciate everyone for their role in nurturing families and protecting innocent lives. relationships, and be the best parents they can be. We want them to know the love of God. None of us are “experts.” If you have a heart for our ministry and can volunteer for even half a day a week, we would love to speak with you. Please contact the Center at 928-474-7466. If we aren’t available, please leave a message. New and returning clients can schedule an appointment on our website. 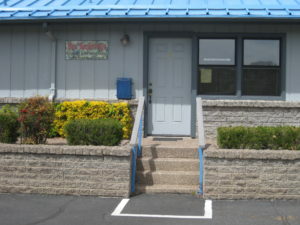 You can find us on Facebook at New Beginnings Pregnancy & Parenting Center. Look for our red flower logo. Please “like” our page.